He who likes Madrid, will know his most famous park, the Retiro, with its rose gardens, long walks full of trees, its Crystal Palace and the pond with boats from where you can feed the hungry fish that live there. But surely, the following names are not so well known, and are precious places where you can play sports, read, relax, or take a walk and discover new corners of the city. These little gardens are quite unknown, even for the locals, because its small entrance and its reduced size, so you need to know where they are if you want to visit them. They are located in the popular district of La Latina, in the city center, next to La Plaza de la Paja. They were created in the eighteenth century as noble palace gardens so they have a neoclassical style. In summertime they look quite different with all the beautiful roses. This hidden place in the heart of Madrid deserves admiration. Remember to visit them during the day, its small door is locked at night. Guarding the south face of the Royal Palace, are located the beautiful gardens of Campo del Moro, more inaccessible than Sabatini Gardens because its entrance is in the south side, closest to the Principe Pío station. The main entrance looks similar to the Versailles gardens style, symmetric and spectacular. They are therefore huge, and very peaceful gardens. The rest has a nineteenth-century English gardens style, with a great diversity of species of trees, plants and animals. You can find cats, ducks, squirrels, and one of its peculiarities, the peacocks, that you can find them running from one place to another. 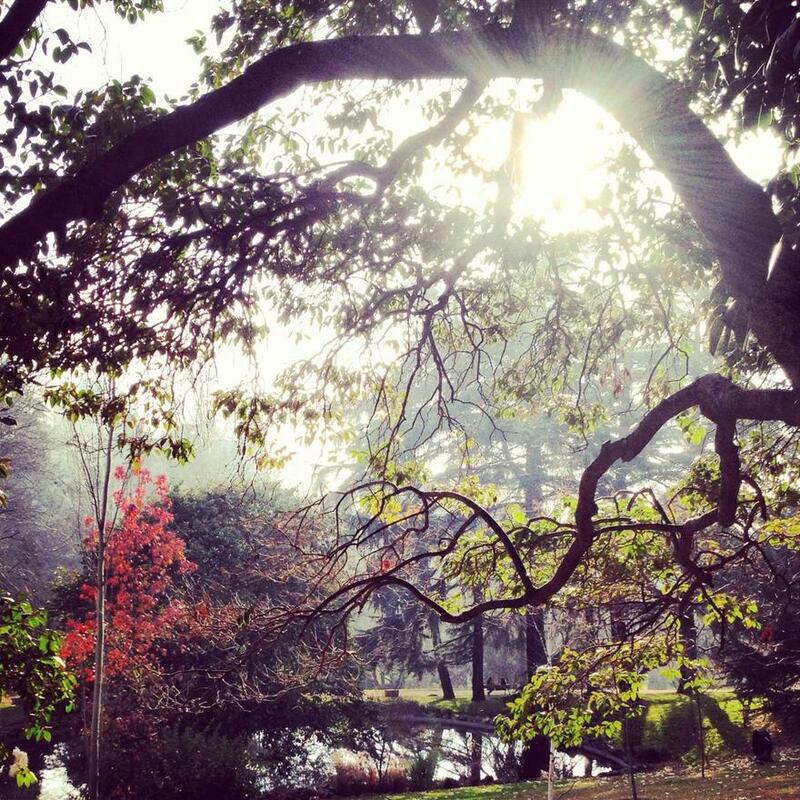 The gardens have paths to walk and get lost in the nature. They have opening hours, but do not leave Madrid without visiting them, they are wonderful! 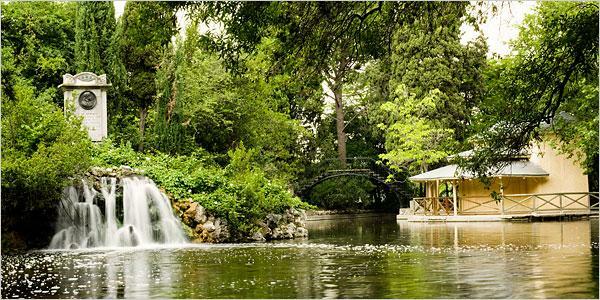 Another of the most beautiful parks in Madrid is Capricho Park, located in Alameda de Osuna. This amazing park has a great diversity of wildlife and flora, as well as different sculptural representations. The garden offers three different styles: the French garden with its clean and symmetrical style; the typical English landscape garden, with its lush vegetation evoking nature in its pure state, sculptures and water; and the Italian giardino, with more order and geometric decorative elements, like the laberynth. Perfect place for having walks and taking pictures. The Dalieda of San Francisco, is a unique place in the center of the city, located in the neighborhood of La Latina, next to San Francisco El Grande Church. 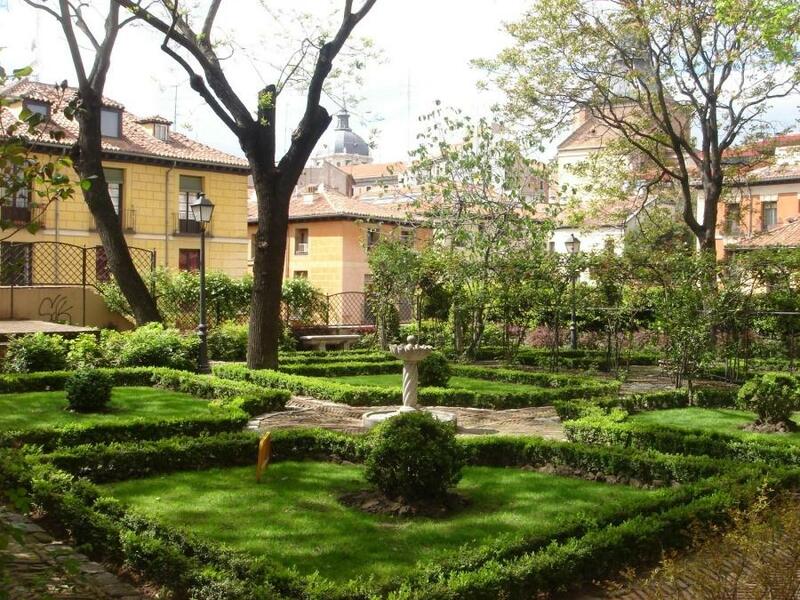 More than a park or garden, it is a site where was the former convent of San Francisco. It also has one of the best views of the western part of the city. The most peculiar thing about this place is that hosts a thematic exhibition of the different varieties of dahlias. It has three distinct areas: the Dalieda, the gazebo, and access to La Cornisa Park. We can also find a sculpture of San Isidro, the patron saint of Madrid, presiding the site. Important: You should go in the season of flowering dahlias, which is from early summer to late autumn. These small and hidden gardens can also be found in the center of the capital. They are located in the courtyard of an eighteenth century palace, now converted into a romanticism museum, near the metro station of Tribunal and Malasaña quarter. You can find in these gardens a relaxing cafe where you can spend a nice afternoon. Yes. We do have a river. Even if you haven’t seen it, it’s there. This area was completely untapped, but since some years ago they began to renew the area and give it a public use. So they built a nice park along it. Madrid Rio is a large linear park of 7 kilometres, along the Manzanares River. It is full of green areas, parks, monuments, bridges, and dams. Perfect for playing all kind of sports or having a relaxing day. 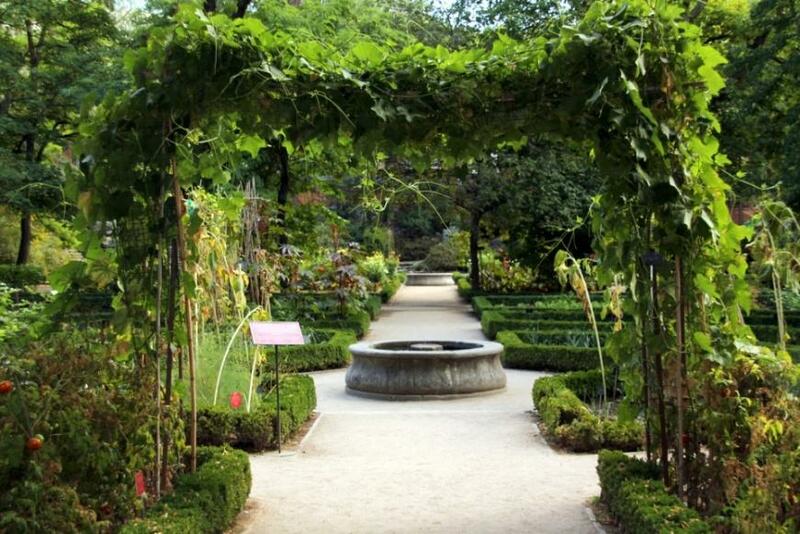 Between the Atocha station and the Prado Museum, we find the botanical garden, the best place to learn about plants. It is full of beautiful places that include more than two centuries of history. Besides this unique space introduces visitors to the knowledge of a science with long years of tradition as Botany. The garden is open throughout the year because there is always something interesting to see at each station. Its just closed on Christmas and New Year. It has exhibition greenhouses and plants. Casa de Campo is the largest public park in the municipality of Madrid (Spain). Located west of the city, it is located administratively in the district of House (deMoncloa-Aravaca district), bordering south with District of America and the west with the municipality de Pozuelo de Alarcon. Inside are located several atractions, such as the Amusement Park, el Zoológico, the Cable Car. The Lake environment is one of the most visited park due to its easy access in automobile and through Lake Station subway. It has a pier where you can rent boats for pleasure or hop on a small motor boat. Large number of species of fauna and flora. La Quinta de los Molinos is situated in the northeast part of the city opposite the metro station Suances, and it’s one of the most unique gardens of Madrid, a peaceful place perfect for reading or relaxing famous for its great number of almond trees that bloom in late winter, and give a shocking and oneiric pink and white landscape. El Parque del Oeste (West Park) is another great park you can find in downtown Madrid, between Moncloa and Ciudad Universitaria. It is huge and has many walking routes. It has plenty of tall trees, benches, and also a small lake. There is even a rose garden, famous for organizing every year an international context with different types of roses. It is a fantastic place to do sports, relax and soak up the sun. Reading or having a picnic are also good ideas, and is less visited and quieter than other parks like the Retiro.